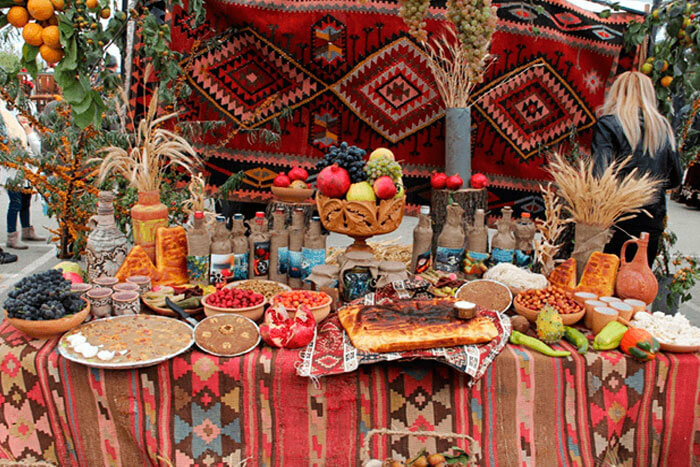 Many cultural and traditional holidays are celebrated in Armenia annually. 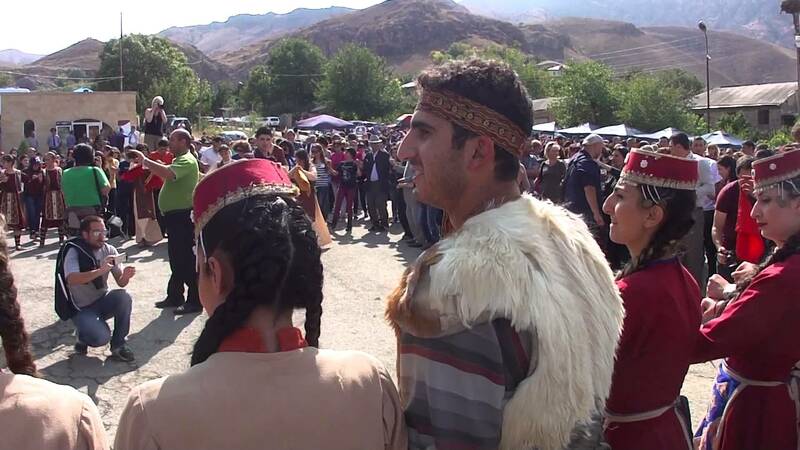 Wine Festival in Areni has a special place among them. It has been celebrated on the first Saturday of October since 2009. Winemakers from all the regions of Armenia gather together for this event. So there is an opportunity to taste not only the amazing local wine but also the wine from other winemakers. 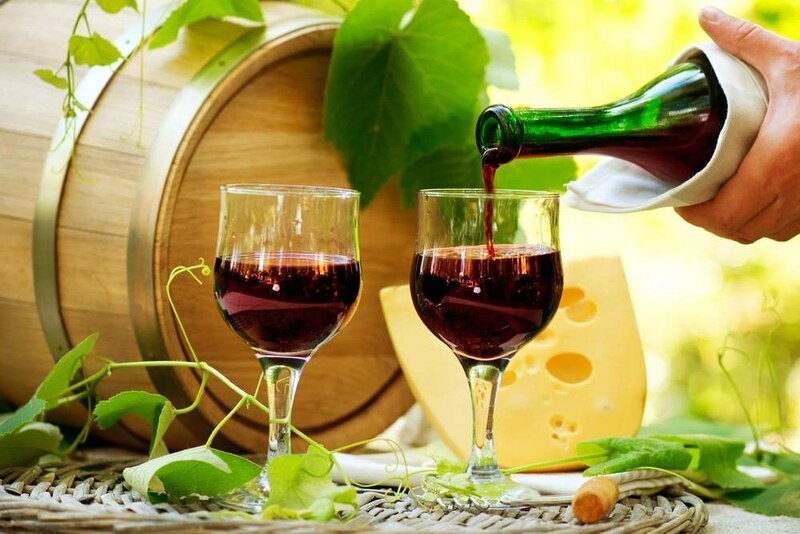 You can taste the products of cheese makers and various national dishes with wine. It should be noted that the festival is accompanied by a dance program and traditional folk music. The fact that this festival is held in this village is not by a chance. In 2010 the world’s oldest well-known winery was discovered exactly in Areni cave. In the cave complex, an international team of researchers found a 6100-year-old fruit press for crushing grape, jugs for fermenting and even bowls for drinking. 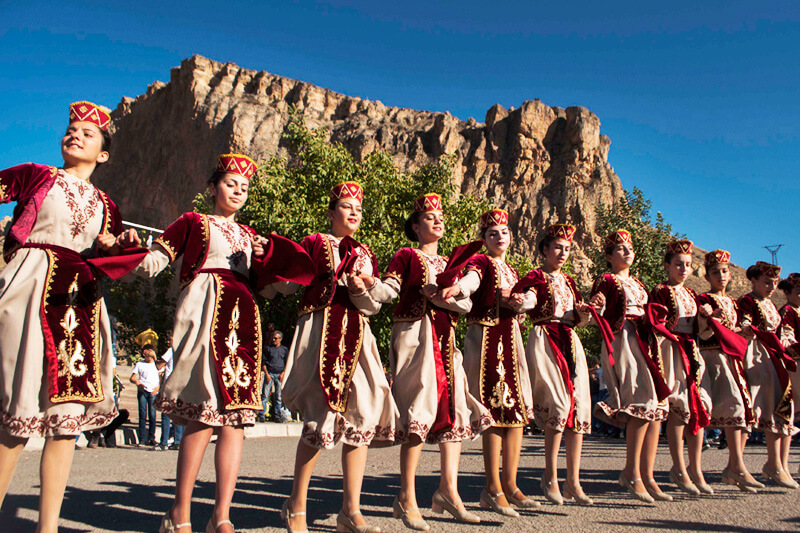 This vivid festival in the historic wine homeland is a manifestation of Armenian cordiality and hospitality. By the way, wine tours in Areni are already being organized. They are gaining more popularity not only among tourists but also among the locals. The modern history of Armenian wines goes back to the end of the 19th century. In 1887 the merchant Nerses Tairyan built the first wine-brandy factory in Yerevan, which started to produce wine on an industrial scale. At the beginning of the 20th century the factory became the official supplier of cognac for the court of Nicholas II. And the Armenian “Madera” harvest of 1902 was awarded an international prize. Under the Soviet rule, Armenia became known as a homeland of many sweet, strong and fortified wines. During the Soviet years the wine industry in Armenia produced table and fortified wines (strong, sweet, liqueur), champagne and brandy. Vodka was also produced. Alcohol and tartaric acids are made from the wine waste. The famous “Ararat” trust produced 38 different types of wines and 9 brands of cognac. Wines are divided into vintage and regular wines. Vintage wines include high-quality wines, made from certain type of grapes, constant in quality and aged from 2 to 6 years. Vintage wines, aged over 6 years, with the addition of at least 3 years in the bottles, are called collection wines. Regular wines are produced according to a strictly defined technology, they can be aged from 3 months to 1 year. They differ in two ways: by color-red, white and pink, and by sugar amount-dry (no sugar), semi-sweet, liqueur and strong. Endemic grapes are mainly used for winemaking in Armenia. This is the famous voskehat (Kharji), Garandmak, Chilar, Arevik, Mskhali, Aldara, Banants, Areni, Hakhtanak, Nerkeni, and Tigran, Nazeli, etc. For some wines foreign types of grapes are also used: kakhet, rkatsiteli, cabernet, chardonnay. Armenia produces fine table wines, moreover, low-alcohol wines, the strength of which is not more than 10-12°, and high-alcohol wines, with 12-14° alcohol content. They are very tasty, easy to drink because of the sufficient amount of acid and low-alcohol content. Semi-sweet wine Experienced winemakers of Armenia have been producing semi-sweet wines for a long time. There is a pleasant sweetness in deep red or light transparent wine. The difficulty of making semi-sweet wines is to be able to stop the fermentation of the wort, when the wine contains 3—8% sugar. Fortified wines Very sweet grapes are cultivated in Ararat valley, from which sweet wines with high-alcohol content are made. Fortified wines can be strong, sweet and liqueur. In the institute of viticulture, winemaking and fruit growing of Soviet Armenia new brands of liqueur wines were produced: Voskhehat (16°, 22%) and Arevik (17°, 21%). Needless to say, champagne has a special place among all wines. Champagne is produced in bottles and it is made in large tanks. At the Yerevan Champagne factory champagne is produced only in bottles. Currently, Keush sparkling dry wine and Karas sparkling sweet wine are very popular. This wine is consumed chilled. After independence in 1991, winemaking in Armenia developed in various fields. There are large wineries in Ararat valley and in Aragatsotn region, in Tavush region (Ijevan wine-brandy factory) and, of course, in Artsakh (Berdashen and Kataro). Recently Armenia has been producing new brands of pink and white wines in addition to the main red wines. Note the unique white and red liqueur wines Maran Winery Avagini. Fruit and berry wines are also produced in Armenia. These are semi-sweet cherry, raspberry and pomegranate wines, as well as dessert wines from blackberries, plums and quince. Pomegranate wine stands out among fruit wines. It has beneficial properties, as it contains a great amount of minerals, vitamins, tannins and microelements. That’s why this wine is produced by almost all winemakers in Armenia. It is a well known fact that high acidity and low sugar made the wine making process difficult. It was succeeded only at the end of the last century. Actually long time ago doctors knew and proved the beneficial and healthy impact of wine. The popularity of Armenian wine is steadily growing both among locals and among increasing number of tourists. 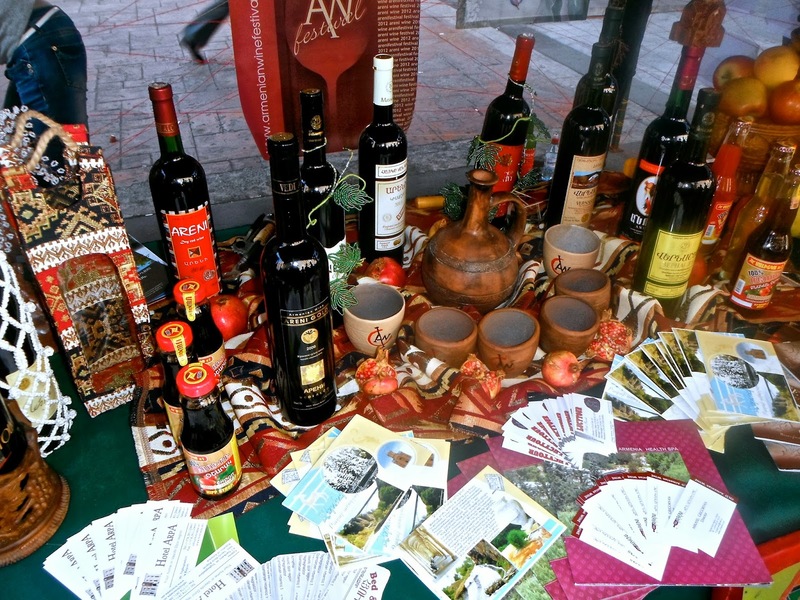 In this regard, for the second time in early May, “Days of Wine in Yerevan” is celebrated in the centre of the city. It is a good platform for all winemakers in Armenia and Artsakh, and a great opportunity for wine-lovers to appreciate the most delicious Armenian wines. The celebration is accompanied by folk festivals. Both citizens and high-ranking officials not only from Armenia participated in “Wine days”. This event can become annual. Another holiday dedicated to wine is celebrated in Artsakh. In the village Tog, the Wine Festival is annually celebrated in early September. Local winemakers proudly present their amazing products. Along with the music and dance program at the festivals, there is an exhibition-sale of products by local craftsmen. These are carpets, souvenirs, ceramic products. These holidays and festivals in Areni mentioned above make it possible to organize wine tours in Armenia. Festivals, which have already become traditional, prompt the development of gastronomic and event tourism. Those are: Dolma festival in Hnaberd (May 20), the Hartak festival in Gyumri (June 9-10), where, among other things, people learn to cut pasta and choose wines, the Hamov Hotov Yerevan festival (delicious flavored Yerevan, June 10), the Watermelon festival in Yerevan (14 July), Festival of honey and berries in Tavush region (August 13), barbeque festival in Akhtala of Lori region (August 18-19), gastronomic festival “Wine and Culture” (September 2), gata festival (September 22). So, choose whatever you like and come to enjoy!